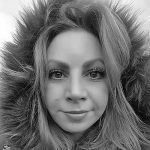 A south London account manager has been high fived and called a “legend” after proving that it isn’t impossible to catcall women who are wrapped up from the cold weather. Although clearly an effort, she resisted enough to walk on without acknowledging him or his friends further at all. Lucy works full time for the BBC (any views expressed here are her own, unless you really dislike them) and is a part-time stand-up. She made it to the final of the Laughing Horse New Act Of The Year 2015, and has been largely unsuccessful since. Next Story → Is your boyfriend wearing his jeans too low or is he simply still in the process of putting them on?